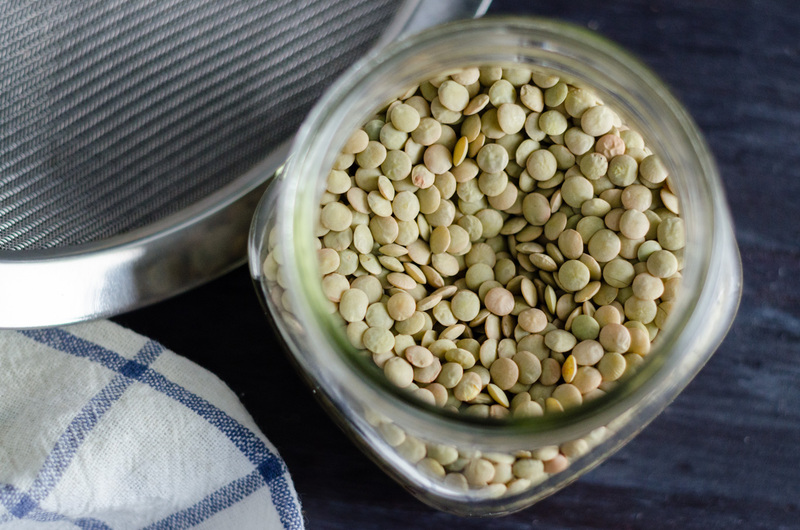 Lentils are budget-friendly, and good for you – they are packed with protein, fiber and provide many other health benefits. My grandmother made lentil soup for us growing up all the time. 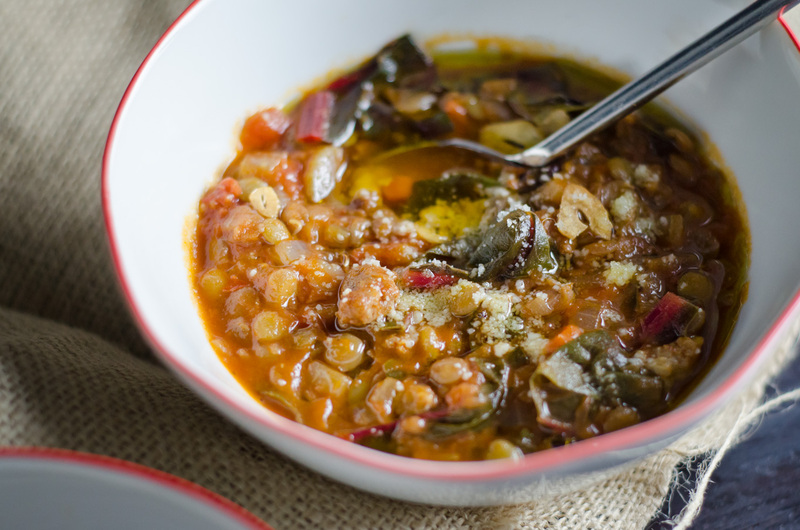 She makes hers simply with lentils, onion, carrots, celery, garlic and tomato, but it is always hearty, comforting, and filling. My sister and I would always let the Pecorino rain down over the top of the soup, and Mema would sometimes serve white rice on the side. 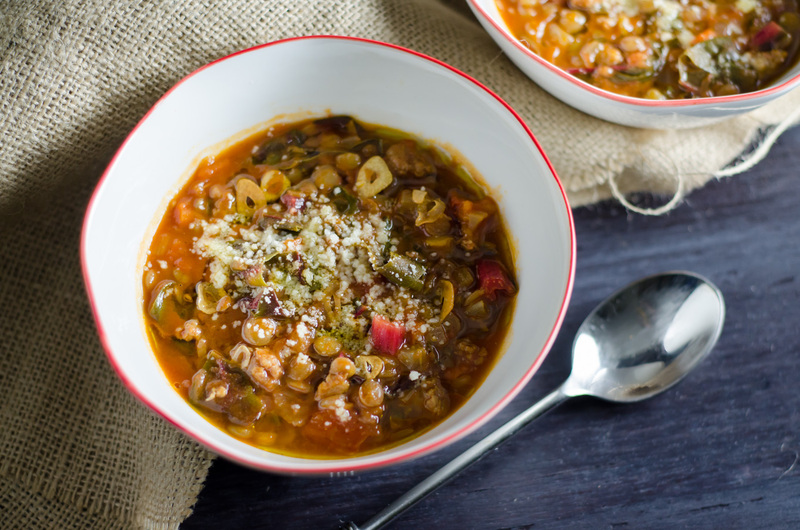 This soup has a few more extras than the lentils I grew up on, but it is incredibly delicious. Mike likes everything on the spicy side, so I use hot Italian sausage and a nice pinch of crushed red pepper to give it some heat. 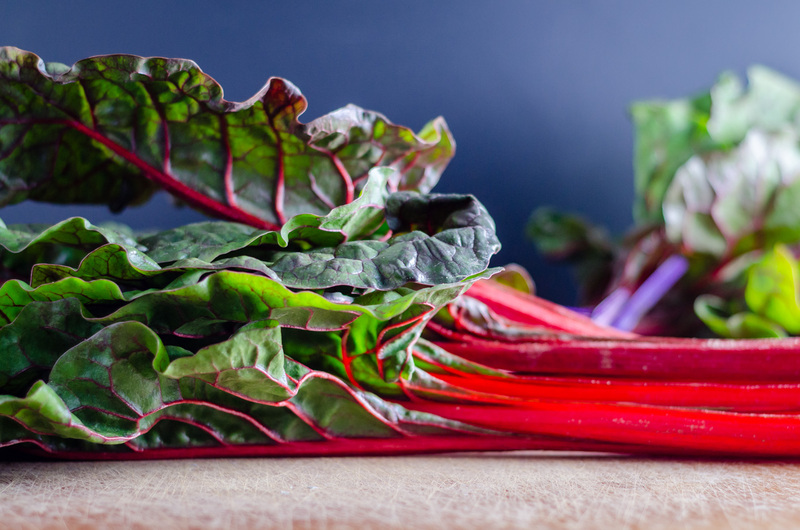 Swiss chard is also one of the greens I grew up on as a kid, so I prefer that in this soup, but you could easily add kale or spinach instead. This soup is fairly quick to prepare, but tastes like it has been cooking all day. I prefer Swiss chard, but you could also use kale or spinach if chard isn’t available. For the soup, heat olive oil in a large pot on medium heat. When hot, add the sausage, breaking it up to bite size pieces with a wooden spoon until it starts to brown, about five minutes. 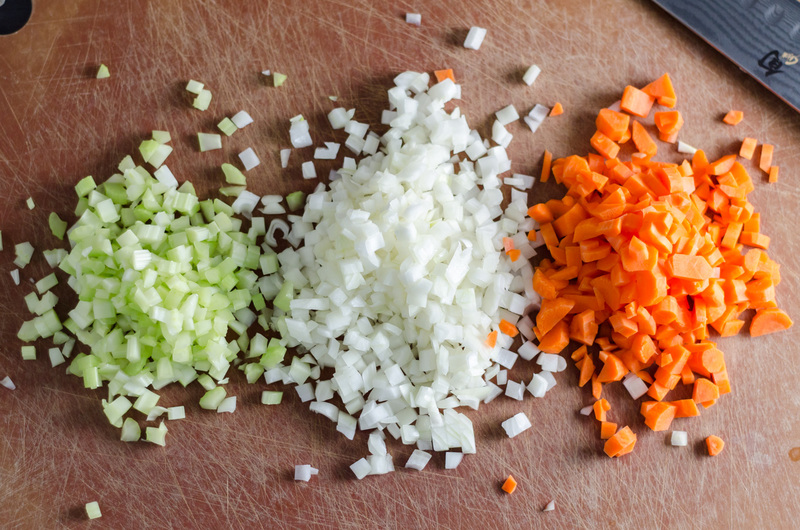 Add the onion, celery, carrots, garlic, a pinch of salt, red pepper flakes to taste (if using). Cook vegetables with sausage to soften a bit, about five minutes. 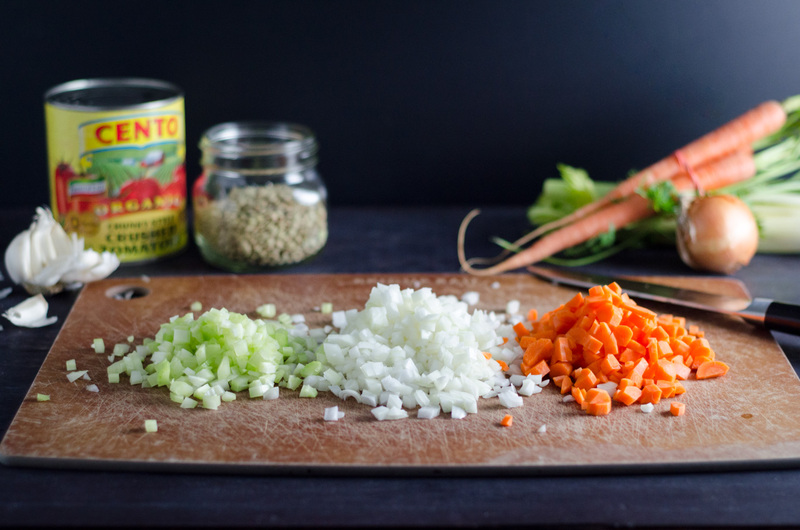 Add the lentils, bay leaves, tomatoes, water (6 cups is, conveniently, a little less than 2 empty 28-ounce cans, so you can get any tomato pulp you missed), more salt and black pepper to taste. Bring to a simmer and allow to cook until the lentils are tender, about 40 minutes. Add more water if soup becomes too thick, but we liked it on the thicker side. To finish, divide soup among bowls. Make garlic oil, by adding olive oil and garlic to a small skillet over medium heat until the garlic softens and hisses. Drizzle over soup bowls, and top with fresh Romano, passing more at the table. Leftovers will keep for several days in the fridge.